I love a good Cab…to put on my cheeks! These Pur Minerals Chateau Cheek Stains, available online or at Ulta Beauty stores, are perfect for summer days into nights. 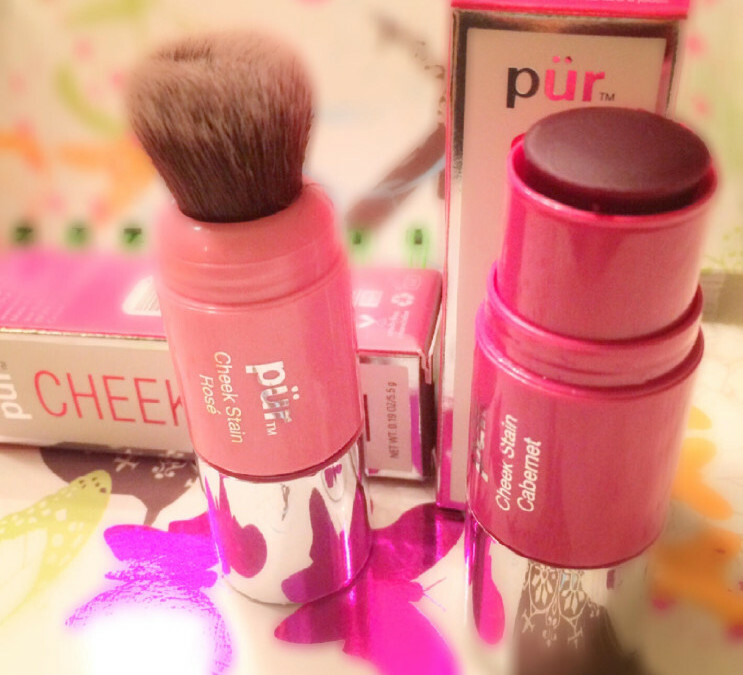 Pur Minerals Cosmetics brought fresh ingredients straight from the vineyard to their blushes! These babies are rich in antioxidant wine extracts to help combat age- accelerating free radicals. They come in four shades to suit any skin tone: Bellini, Rose, Prosecco and Cabernet. I personally, like the rosy cabernet tint. The tints give just the right amount of natural flush to the skin. But, to get a richer color just layer on.. they’re very buildable. Simply dab the cheek stain on with your finger or use the convenient brush on the other end to get a more airbrushed/blended effect. You can also rest easy knowing that Pur Mineral Cosmetics has your best skin interest at hand. It is a cruelty-free brand and uses responsible sourced ingredients enabling them to bring the farm to the jar! 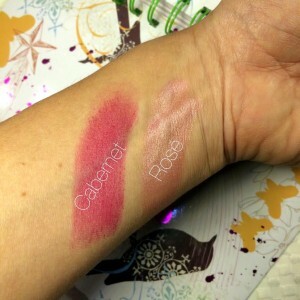 Below, on my wrist is Cabernet (left), which is a a rosy, plum color with no shimmer, and Rose (right), which is a shimmery, almost metallic light pink. 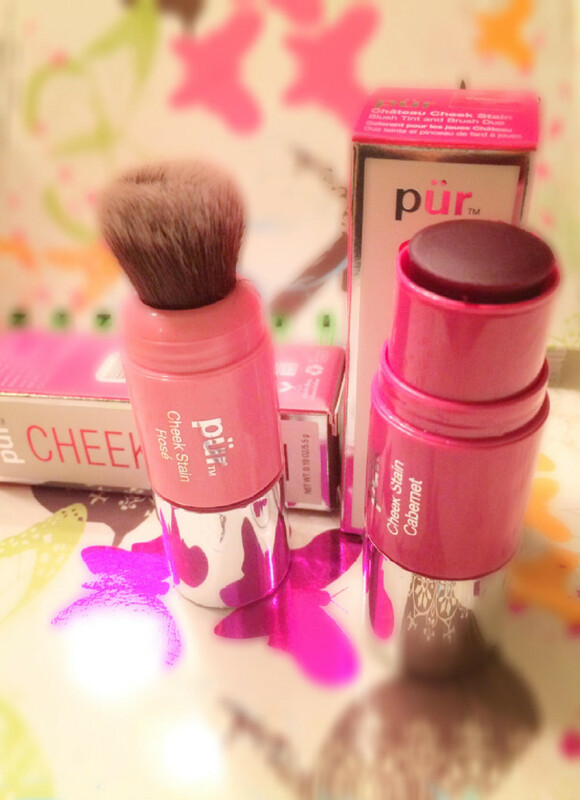 This blush tint with brush duo is also convenient for summertime travels! NOTE: This post is not sponsored. All thoughts are unbiased and my own. Samples were provided for review. All photos are my own. Thank you! I have been looking for new stain colors and I looooove that this one comes with a brush on the other end. Great product design! Going to buy one today!! !